Cultural stigma over treatment takes additional toll on state's Arab Muslims, despite services being available. "Sometimes, I feel like someone is following me," says Samir, looking at his wife, Sarah, for reassurance. Samir and Sarah, whose last names have been withheld for security reasons, moved to the United States four months before President Donald Trump took office in 2017, applying for refugee status to escape the war in Syria. Trump's policies are making life harder for immigrants or refugees here — especially those from Muslim-majority countries. Refugees and immigrants like Samir and Sarah already experienced significant trauma in their war-torn countries and their often-arduous journeys to escape. Growing xenophobia in the U.S., combined with the challenge of adapting to a completely different culture, give Samira and Sarah a new set of insecurities. Experts say that can give way to mental illnesses such as anxiety, depression and Post-Traumatic Stress Disorder (PTSD). Samir and Sarah, who now live in Beaverton with their son, say there's a stigma attached to those who seek help from mental health professionals in the Arab Muslim culture. "So, we depend on each other for support," Samir says. Mental health professionals are concerned about issues facing the growing Arab-American community in Oregon, which was estimated at 41,613 as of 2010. Dr. Omar Reda, a psychiatrist, Harvard-trained trauma expert, Muslim activist and writer in Portland, has been working to help the community the past 10 years. This year he launched the Untangled project, which reaches out to people and helps them tackle family dysfunction and youth vulnerability resulting from trauma. Stress is often "the invisible elephant in the room," he says, but Reda is keenly aware of the stigma against mental health treatment prevalent in many Muslim communities. "People suffering from emotional or mental health issues could be seen by others as having a weak imaan (faith)," Reda explains. "But some people are really struggling. PTSD is a real issue." Reda holds educational seminars and what he calls Safe Spaces events with the support of his family, volunteers and collaborations with the Portland Refugee Support Group and others. Safe Spaces is a monthly program of the Untangled project, in which open conversations are held about sensitive taboo topics and nonviolent conflict resolution. Reda consciously avoids using words such as depression or anxiety in the seminars. He gives them pop culture titles instead. One titled "Thirteen Reasons Why" included counseling against committing suicide. "Behind Closed Doors" spoke about trauma and depression. "Thirteen Reasons Why" addressed a primary concern for first-generation Arab immigrants, older folks who are less comfortable discussing mental health issues and emotional needs. "Some of the parents welcomed this effort and wished they had such a platform growing up while they were struggling," Reda says. "While others are going through a change in times and are less accepting of it," he adds. Those at the brink of this divide are the second generation — the youth, he says. "They are in a sort of identity crisis. Being born and raised in the U.S., they at times question their cultural and religious identity, because of which they feel discriminated against." It is this group that Reda particularly engages with, through a number of interventions such as the use of art and play, and through psychosocial education. As someone who experienced racial profiling after arriving in the United States post-9/11, and having worked closely with displaced children living in tents in Libya and other nations, Reda keenly understands the invisible wounds of trauma. "It is good that there is at least some talk about mental health issues," he says. "Over time, the number of attendees in our seminars have increased." A few also reach out to him at advanced stages of mental illness. They seek one-on-one confidential counseling out of fear of being ostracized. "Young adults, who are most at risk, do not usually reach out," Reda says. "They hide their feelings, and unfortunately continue to suffer in silence." Some young adults do seek help, only to be blamed for their problems by their own counselors. "Some of my friends sought counseling, but because their counselors didn't have the same cultural background as them, the counselors blamed their (Arab Muslim) culture for a lot of their issues," says Mariam Said, 23, who was born and raised in Portland. "It becomes difficult when counselors are not taught cultural awareness or racial sensitivity," she says. Said, who is half-Yemeni and half-Afghani and wears a hijab head covering, says she has experienced racism merely for looking different. "I have experienced a lot of bad looks from people, and some have even yelled things at me while passing by," she says. While Said is open to the idea of counseling to cope with such growing pressures, she is hesitant because of the experiences of her friends. Said copes by surrounding herself with people of her own community or finding support in friends who are activists. Lack of resources also is an obstacle to seeking professional help, says Mohamed Alyajouri, 38, who moved to Oregon at age 10 from Yemen. "I fear that we don't have enough professionals who understand our background to be able to be fully helpful for the community," he says. "There is also a certain taboo in our community with seeking mental health services." There is always that fear in peoples' minds here, Alyajouri says. "Will I be accepted? Will I miss out on an opportunity — educational or professional? Will I be attacked — physically or verbally? You are always thinking about these things and have a heightened sense of awareness around you every day." 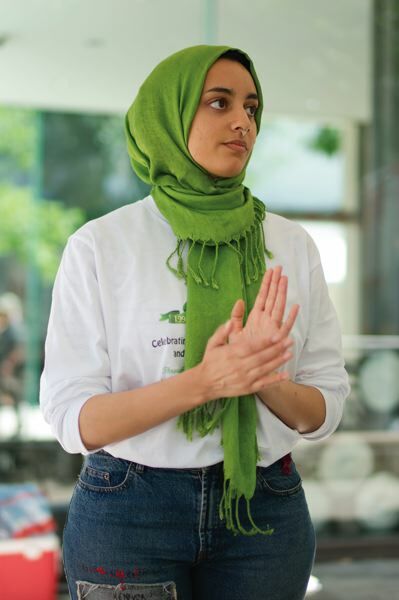 The Muslim Educational Trust, a community-based organization in Tigard where Alyajouri volunteers, is trying to break some of these misconceptions. It holds seminars to advocate for mental health, while intentionally avoiding using the medical terms. "We call it the community support service (rather) than calling it the mental health service," Alyajouri says. "We also provide support in indirect ways like having positive events." 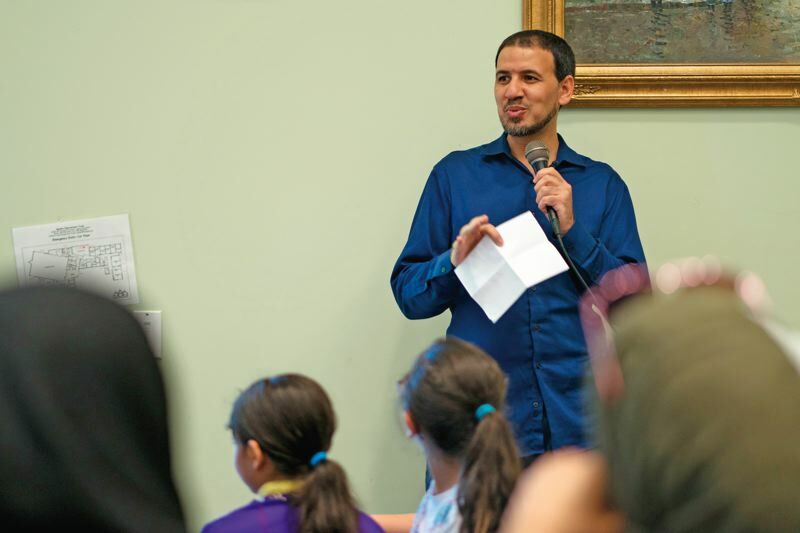 The second Portland International Muslim Cultural Festival, held July 14, was one such event, organized by the Muslim Educational Trust in collaboration with Portland Parks & Recreation. "Such events help reassure and empower the community and tell them that they have a group of people who are like them, and they can use them as a social support without going to a professional," he says. "For now, that is more effective." Other Arab Muslims seek help the more traditional way, from Muslim clerics. Mohsin al-Dhaliny, of the Islamic Center of Portland, has been providing counseling services for years. 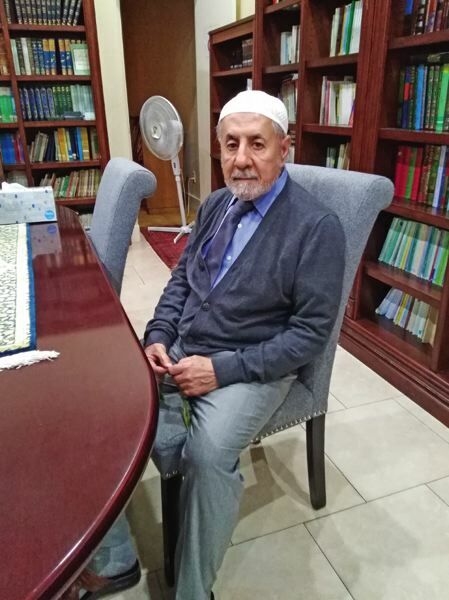 His expertise lies in family counseling for the center's small community of Arabs from Iraq and Lebanon, as well as Muslims from Afghanistan, Iran, Pakistan and elsewhere. "The situation in Oregon is much better when compared to other parts of the country in terms of discrimination," al-Dhaliny says. But Portland's reputation for tolerance suffered a blow last year, when two men were stabbed to death and one critically injured after they confronted a man hurling anti-Muslim comments at two young women, one of whom wore a hijab, at a MAX station in Northeast Portland. Over time al-Dhanily has witnessed more women opting to remove their hijabs out of fear of suffering discrimination. Aware of the stigma attached to mental illnesses, the cleric also advocates for seeking professional help and recognizing mental illnesses. "Culturally it is shunned, and seen as a kind of weakness, but I try to make people understand that mental illness is just like any other physical ailment that requires medical care," he says. Two years ago, a young daughter of a Kurdish Iraqi family, who wasn't affiliated with his center, committed suicide. While the incident was hushed up, al-Dhanily believes the daughter was clinically depressed and the family didn't acknowledge it or was unaware of it. 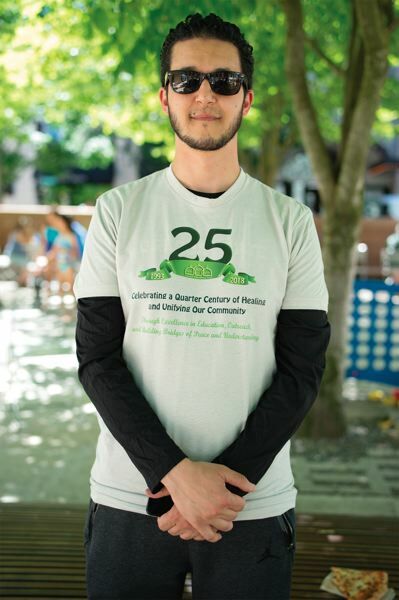 "While the community I deal with has not expressed similar views, the young generation of the center is much more resilient to the environment and accepting of mental ailments than the older ones," he says. The older ones tend to have a different perspective. "Coming from oppressed environments such as Iraq and Afghanistan or other parts of the Middle East, it doesn't come as a shock for them when the political environment in the U.S. becomes oppressive," he says. Al-Dhanily moved to the United States in the 1980s from Iraq, at the peak of the Gulf War. "My wife, who is born American, often senses when I am being discriminated against during our outings," he says. "Sometimes she tells me that this current environment is dangerous. But I tell her, 'What dangers you are telling me about? I have experienced worse.'" The Arabs who have settled in Portland or come as refugees also include a considerable number of Christians. 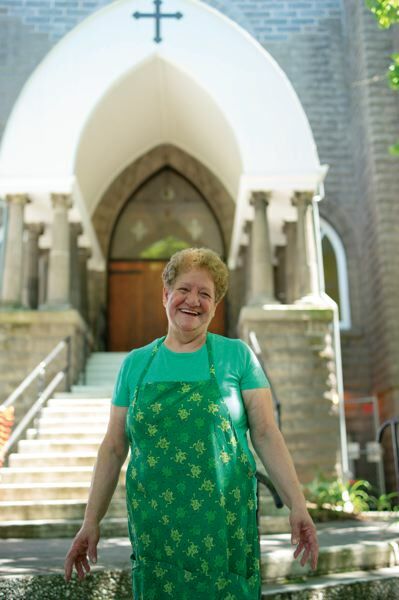 The community has not faced much racial discrimination, says Eva Bekahi, who moved to Portland in August 1989 from Lebanon, and has been an integral part of the small community. When it comes to dealing with trauma or other mental illnesses, especially among refugees, Bekahi says the community tries to make them feel at home to help them cope. Lately, around eight or nine refugee families have joined the community at the St. Sharbel Catholic Church, in Southeast Portland's Ladd's Addition neighborhood. "If people need counseling, our priest or deacons help them," Bekahi says. "But there hasn't been much need for it." She believes that because they are a small community — about 85 families — they help one another. "If we don't see someone attend the Sunday Mass for two weeks, we make sure to call and inquire about their well-being," she says. "Everybody is concerned about everybody else." Nisma Chauhan is a subeditor at The Express Tribune in Karachi, Pakistan. She wrote this story while serving at the Portland Tribune through the U.S.-Pakistan Professional Partnership in Journalism program. Follow her on Twitter at @ChauhanNisma.